BURLINGTON, Iowa –I guess I’ll always be looking for golf’s so-called `hidden gems’ – great courses that are off the beaten path. Too often, though, I find that these courses are more hidden than they are gems. That’s not true when it comes to Spirit Hollow, though. This is a true hidden gem in an Iowa town of about 30,000 that is just a few miles over the Illinois border. I’d heard good things about it for years and finally paid a visit during July’s John Deere Classic week. Designed by Libertville architect Rick Jacobson, Spirit Hollow opened in 2000. It’s been a busy place that will soon get busier. Eventually, I suspect, it might even get knocked off the `hidden gem’ list. 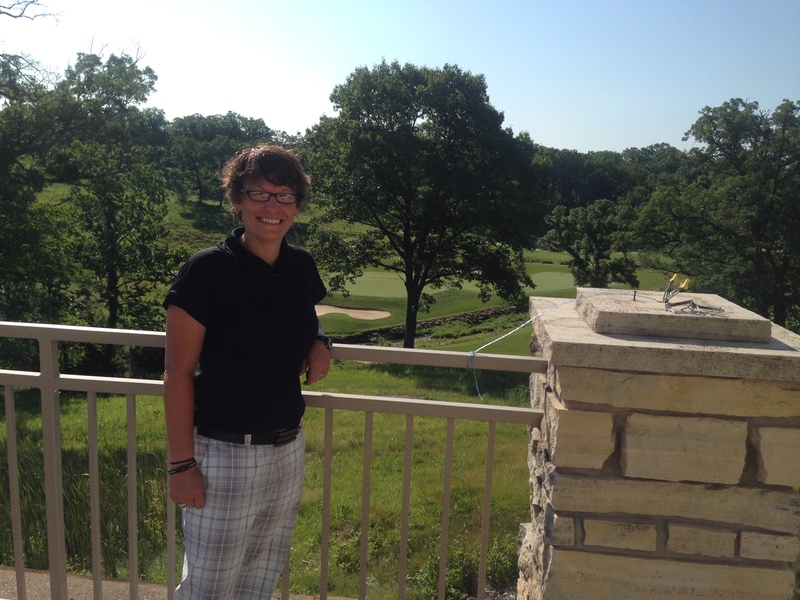 Head professional Erin Strieck worked at Eagle Ridge and Fyre Lake before enjoying the views at Spirit Hollow. Already Spirit Hollow hosted the Iowa Amateur in 2000 and 2012 and was the site of the last men’s National Junior College Athletic Assn. Division I championship. It’ll host the GolfWeek Challenge, which draws 15 of the top college teams, in September. Those are big events in a town that isn’t close to a bigger city. 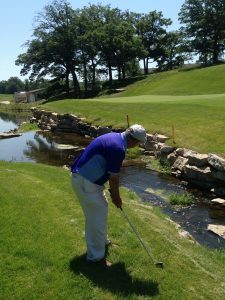 (The Quad Cities, when the PGA Tour’s JDC is played annually, are a 75-minute drive away and Western Illinois University is the closest big college). Burlington businessman Randy Winegard has done wonderful things with Spirit Hollow and more will become self-evident soon. Eight lodge rooms are under construction, so – possibly as soon as August – Spirit Hollow will be able to offer exclusive stay-and-play packages on the premises. “It’ll make you feel like you’re staying at your own lodge,’’ said head professional Erin Strieck, who knows her way around the Illinois-Iowa golf scene. She held a similar job at Eagle Ridge in Galena, Ill., for 15 years and then spent two more at Fyre Lake, a Nicklaus Design Group project now operating in Sherrard, Ill. 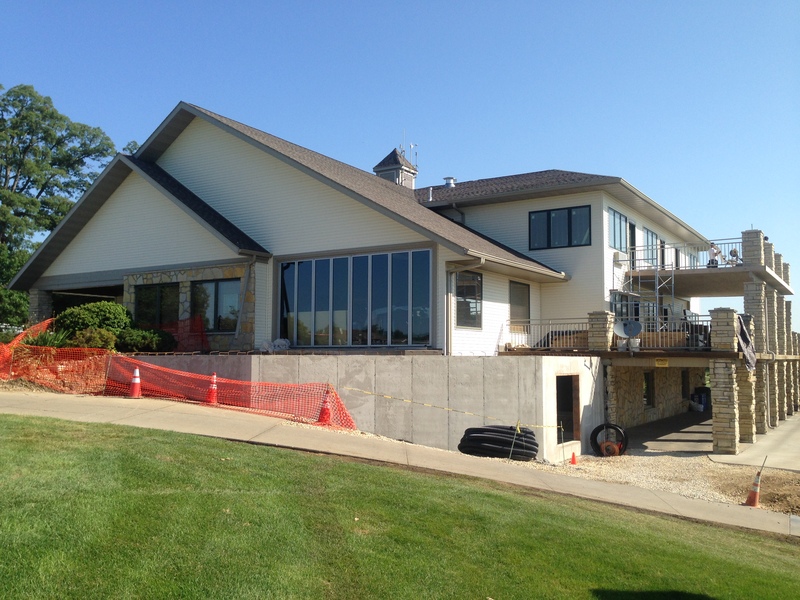 The Spirit Hollow clubhouse is in the midst of a major renovation. Lodging isn’t all that’s coming in what will end up as about a $1 million renovation. There’ll also be a new bar and grill in the clubhouse and a stand-alone pavilion will be constructed near the driving range to host outings and other big events. Spirit Hollow already has other entertainment options available to its visitors. The Catfish Bend Inn, four miles away, has a casino, water park and two restaurants and is a good place for adult get-aways, business gatherings and family vacations. And now the golf alternative – already quite good – is getting a boost. Does this fake wolf scare you? It apparently keeps the geese away from Spirit Hollow’s No. 6 hole. 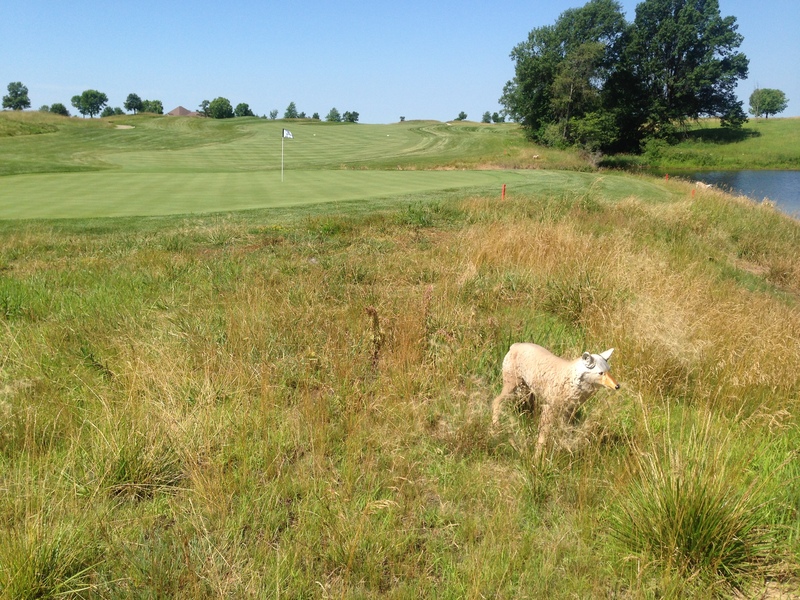 I don’t doubt that for a minute, but more about the course facilities. Spirit Hollow may be the best buy in the Midwest now — $35 for seniors with cart included seven days a week. The clubhouse has an indoor hitting facility that allows for winter practice, and having music playing on a big practice range offers a nice, somewhat unusual twist. Finding your way to the No. 9 green isn’t easy. This great par-4 is my favorite hole at Spirit Hollow. Jacobson, who got his start in golf architecture working for Jack Nicklaus, formed his own company in 1991. He’s done a lot of work in China lately, but his creations in the Chicago area include two real good ones – Strawberry Creek in Kenosha and Bowes Creek in Elgin. Spirit Hollow ranks at least on par with those. He’s also done renovation work at such quality places as Kemper Lakes, North Shore, Bob O’Link, Oak Park, Cantigny and Sunset Ridge. That should speak volumes about what you can expect if you visit Spirit Hollow. The staff there is also notable. In addition to Strieck, the general manager is Jim Wyffels. He was superintendent at The General at Eagle Ridge before moving on to Fyre Lake and then Spirit Hollow. There are lots of good holes at Spirit Hollow. You don’t forget No. 6, a 445-yard par-4 where some extremely realistic-looking “wolves’’ serve as decoys to keep geese off the green and away from the pond that fronts the putting surface. None of the holes, however, are more memorable than No. 9 – a short dogleg right par-4. A stream runs in front of the long, elevated green and a waterfall – though not really in play – provides an added attraction. Play the hole from the right tee – 266 yards from the front one, or longer tests from 321, 365 or 410 yards — and you’ll be hard-pressed to find a challenge as much fun as this one.